Paula handles a large bird. The Tufts Wildlife Clinic sees more than 2,000 animals a year. From raptors and owls to skunks and snapping turtles, every wild animal that enters the clinic needs to be handled in order to be healed. 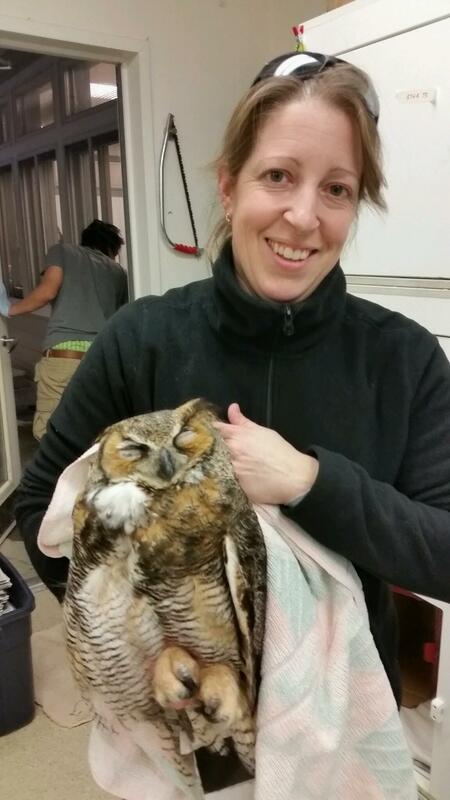 Luckily, the Tufts Wildlife Clinic has a few wildlife whisperers on staff. 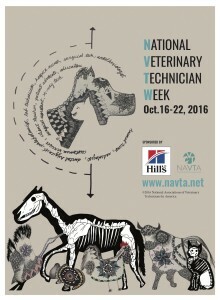 Veterinary technicians Christine Powers and Paula McCarthy have a way with animals. Christine explains, “Be it an owl, a fox, or an upset cat, I can generally find a way to handle it with the least amount of stress possible, and accomplish whatever is necessary in a safe manner for all involved.” This is of vital importance to the animals who have had little to no prior contact with humans, and find themselves in a foreign environment. Christine handles a recovering Great Horned Owl. Fortunately, they’re in good hands. Christine and Paula make their patients’ comfort and health a top priority. Christine says, “Paula and I work side by side to ensure appropriate husbandry, medical care, and dietary needs are met for our patients. On a regular basis we are brainstorming new methods to provide comfort and enrichment for our patients.” Their efforts to keep the animals comfortable and stress-free are rewarded when patients they’ve cared for make a recovery and return to the wild. 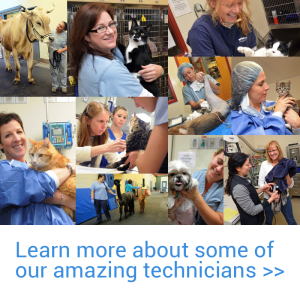 In addition to animal care, Christine and Paula work with many of the people who help keep the Tufts Wildlife Clinic going. They provide direction for the volunteer staff and keep the flow of the clinic running smoothly. In the spring, they create and run the Wildlife Baby Team, which involves training students to take care of nursery patients prior to summer break. During the busy months when the Wildlife Clinic experiences a high caseload, both Christine and Paula keep things running smoothly and maintain a high morale. For all their work and their positive attitudes, we salute Christine and Paula!